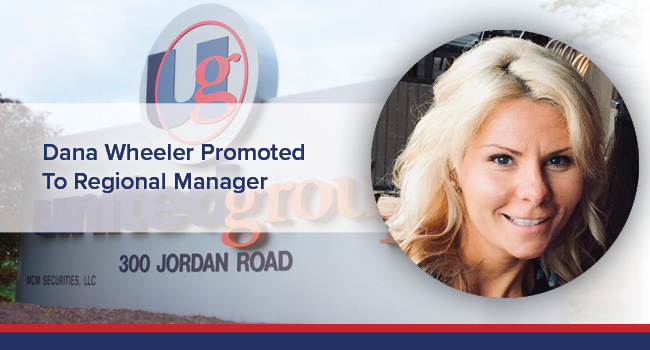 United Group recently announced that Dana Wheeler has been promoted to Regional Manager. Her new challenge will include the oversight of five multi-family housing communities across New York State, totaling 576 units. Dana has worked at United Group for two years and has served as an Area Manager and Field Marketing Manager for several independent senior living communities, affordable senior housing communities, and multi-family housing communities. She quickly grew into an effective leader at United Group, and has proven her ability to multi-task and take ownership of crucial responsibilities. Prior to joining United Group, Dana had been a Property Manager for twelve years in the Capital Region. She also earned an Associate’s Degree from Hudson Valley Community College. In her spare time, Dana earned a Certified Occupancy Specialist® certification from the National Center of Housing Management, and is on schedule to earn a Certified Property Manager credential from the Institute of Real Estate Management, in 2019. Dana works hard, listens to others, and always keeps a positive attitude. United Group is confident that she will be a great leader and will lead by example. Congratulations, Dana. Keep up the great work!